Though as you travel down life's path, unable to see the end of the trail, there may be times of hurt and pain that come as a shock to you, remember that nothing surprises God. He knew everything about you and everything that will ever happen to you, both good and bad, long before He ever made you, and in that there’s incredible hope . . . Find out why over at Proverbs and Wisdom in my weekly article. There’s this word that gets thrown around a lot in the Christian world: theology. At it’s root it means “God’s Word”, but most of the time it’s taken to mean “the study of God.” Sounds good right. I think so. That’s what this blog is all about. “Studying to show myself approved” as it were. But can you know a Christian based on their theology? Think about it. There are a lot of so-called Christians out there that know the right answers, that have the right words, seem to be doing the right things, maybe even have a semblance of spiritual power—they’re theology seems good. On the other hand, there are some so-called Christians out there that don’t have all the right answers and are pretty ignorant of the ways of the church. But do they have bad theology? For that matter, should theology be the rule of thumb that is used in looking at a Christian? Jesus gives the answer. He says, “Beware of the false prophets, who come to you in sheep's clothing, but inwardly are ravenous wolves. You will know them by their fruits. 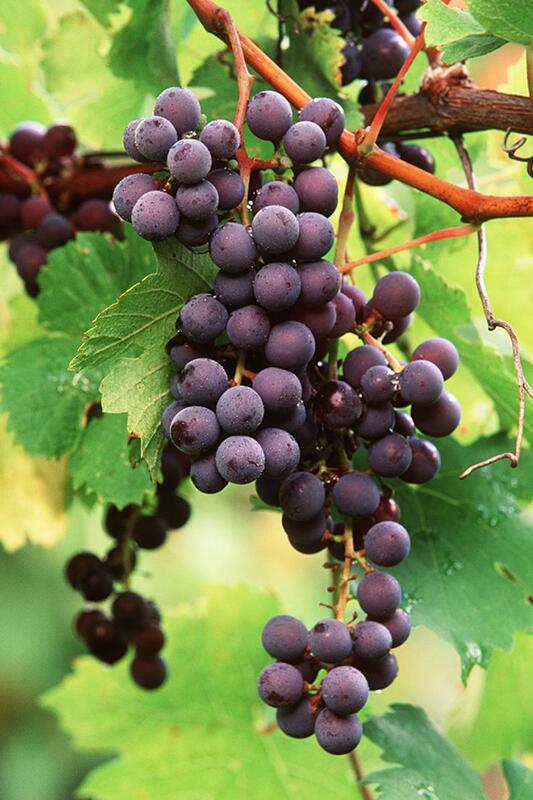 Grapes are not gathered from thorn bushes nor figs from thistles, are they? So every good tree bears good fruit, but the bad tree bears bad fruit. What fruits is He talking about? Peter reiterates the list, “Applying all diligence, in your faith supply moral excellence, and in your moral excellence, knowledge, and in your knowledge, self-control, and in your self-control, perseverance, and in your perseverance, godliness, in your godliness, brotherly kindness, and in your brotherly kindness, love. There’s only one perfect theology out there, and that’s Jesus Christ. In fact John 1 calls Him the “logos" of "Theos" or "Word of God." It wouldn’t be far fetched to translate it, “In the beginning was theology . . . and theology became flesh.” It stands to reason then if you know Him, and abide in Him, you’ll be fruitful. All these things will be added to you. It’s the great promise He gives if you seek Him first. So take your nose out of the books once and awhile, and fall on your knees before our great God and King, and ask Him what He thinks about theology. You may just walk away a little more fruitful. I think a lot of times the Holy Spirit gets a bum rap in Christian circles. On the conservative side of things, He is viewed like crazy cousin Eddy who shows up unexpectedly at family reunions and sets people’s heads on fire and makes them speak in tongues like in Acts chapter 2. On the charismatic side of things, He is viewed as the fun uncle Jerry who doles out candy and excitement and teaches them to rebel against the religious status quo. Either way the Holy Spirit has the reputation of a hotshot rebel who loves trouble and shaking things up. The fact of the matter is that the Holy Spirit is God. He isn’t a rebel. He doesn’t enjoy shaking things up. Those kinds of things are totally carnal. We’re the rebels. We’re the ones who come to the family reunions and mess stuff up, by sitting up on our high horses doling out judgment or acting like goofballs and calling it holy. 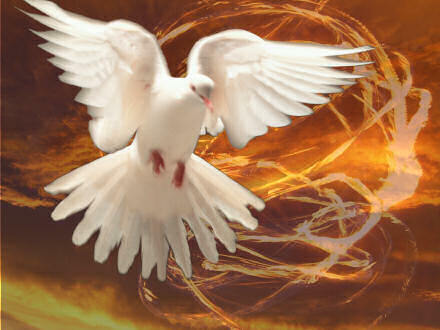 The Holy Spirit is not a rebel. He does not enjoy disorder. He is God. He conforms completely to the Father, and He created order. Does He set people’s heads on fire and cause them to speak in other languages? Sure. But He also teaches us to use spiritual gifts for God’s glory and not our own, to live for Him and not ourselves, and to not show off but to do what the Father does and speak what the Father speaks. This is the image of Christ to which we are being conformed by the power of the Holy Spirit. This is why Jesus says it’s better that He leaves to send the Holy Spirit. It is the Holy Spirit that bears witness to the Father and Jesus Christ, and it is the Holy Spirit that empowers us to be called sons of God through Jesus Christ. To God be the glory forever. 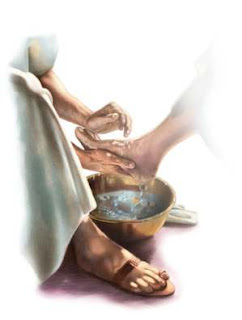 There’s this crazy story in the Bible about Jesus washing some stinky feet at dinner. It’s hard to imagine the King of kings and Lord of lords on His knees in front of some dirty guys washing their feet; even Peter can hardly accept the insanity of it all and recoils saying, “"Never shall You wash my feet!" Our King is not only generous, He’s humble, and He loves to serve. He served in creating. He served in coming to Earth to live sinless. He served in dying and rising again. He serves in giving us salvation, forgiveness, grace, love, mercy, and eternal life. He serves by sending His Spirit to abide in us, teach us, guide us, and empower us. But our King doesn’t serve us just so that we might exalt in His gifts, He serves us to set us an example: that even the greatest among us ought to serve the least among us. That we ought to save those in need, forgive those who’ve wronged us, give grace to the undeserving, love others as we love ourselves, show mercy when judgment is due, live for eternity, live in/by the Spirit and Truth, and to pray in power for deliverance, healing, and life for anyone who needs it. The King who serves, serves in humility, so that those who are of His kingdom might also humbly serve. And Jesus says that you cannot serve Him or others in His name if you have not been served by Him. That’s why it’s not by works that we’re saved but by grace. We have to experience the example before we can live it. Stop resisting the humility of our King. He wants to serve you. If you’re hurting, come to Him. If you’re sinning, come to Him. If you’re ill, come to Him. If you’re tired, come to Him. He will freely give you whatever you need, so you can freely give it to others that all who call on His name might be saved to the glory of God. It's Friday again, so I'm writing for Proverbs and Wisdom. Today's topic is "The Father's Love". know that Jesus loved us so much He died for us, and the Holy Spirit comforts us in our time of distress, but can the Father love us after what’s happened? 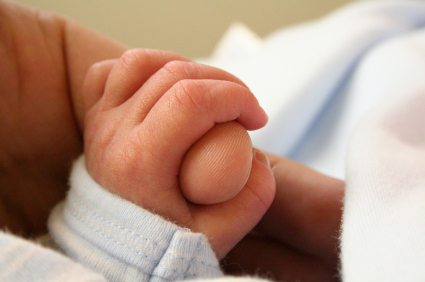 In these times, it’s helpful to think about what the Bible has to say about the Father . 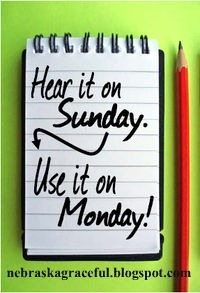 . . Read More. I love to give God glory for what He’s doing in my area, state, nation, even around the world, and so I often seek out those that I see have a heart for God and talk to them, rejoice with them, help where I can, and most importantly pray for and encourage them. There are times though when this gets me into trouble, particularly when I run into someone in ministry who’s got their eyes on the waves in the storm. Obviously I can't help them all, so my heart breaks for them. But here's the thing: if there are holes in your ministry’s boat, you can’t plug them with people. It will be like those silly cartoons where for every person you plug into a hole, two more appear, and in the end the boat sinks. If there are storms brewing, if it seems like everything is going wrong, if there isn’t enough money, if the ratio of kids to adults is too high, and everything’s out of control, your ministry doesn’t need more people to help out; it needs Jesus! If you surrender it to Him, and base your success and failure all on obedience to Christ, He’ll calm the storms, He’ll bring salvation, He may even plug the holes, but please don’t assume anyone who comes up and asks you how things are going is the answer to your problems. I can tell you right now; they’re not. If God sends someone to plug your holes, it will sound a lot more like this: “Hi, my name is . . . and God has called me to . . . for you.” That’s the person you want. That’s the person who will be faithful to help you whatever the cost. That’s the person who will pray fervently and work tirelessly for the kingdom work God has laid on both your hearts. 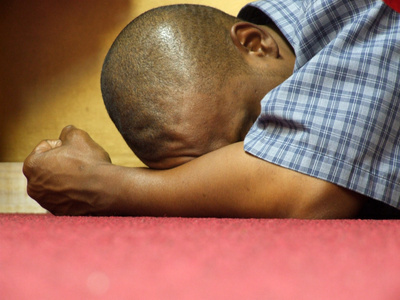 Don’t settle for a warm body to plug the holes in your ministry. In fact, I would say if the person does not say God sent me to help you, turn them away. And if they do say God has sent me to help you, ask them how. It may not be in the way you think you need help. After all, this isn’t your boat you’re sailing; it’s God’s. Seek first the kingdom and all these things will be added unto you. I started this blog back in 2007, with a post called When God Shows Up. Since then I have written 100 posts, attracted about 2,000 page views a month, and have publishers dumping books, videos, and video games on me asking for reviews. It seems to be a success in every way except the reason I started it in the first place. In fact rather than getting rid of the desire to run, I think I’ve just come to understand why it’s there the more I’ve come to know God. I had one experience just after writing this post all those years ago that provides a good example of why. I’ve read some commentaries and heard some pastors say that when Solomon says, “The fear of the Lord is the beginning of wisdom” (Proverbs 9:10) and when Jesus says, “fear Him who is able to destroy both soul and body in hell.” (Matthew 10:28) that they just mean be in awe of God. There aren’t enough synonyms in any thesaurus for "foolishness" to begin to describe the stupidity of this idea. Did Jesus tell John, “do not be in awe” in Revelation 1:17? No, He said “do not be afraid.” Why? His presence lifted, and I pulled myself to a fetal position and bemoaned my unworthiness with a wrenching weeping, while God’s Spirit comforted me. The experience humbled me and gave me a better understanding of this God I’m seeking to know. He is not a big, lovable grandpa in the sky. He is God. He loves us enough to send His Son to die in our stead so that we can stand before Him in the Day of Judgment and not be destroyed. But in the mean time He loves us enough to keep us at a distance lest we see His face and die. Yet that is my desire still, to press in to see His face no matter what the cost, so I die daily that I might be resurrected and behold His glory, but I do so in a proper understanding of whose glory it is that I’m seeking. So, wherever this blog goes over the next 100 posts, however many readers there are, may it always be for His glory alone because God alone is worthy. Ian Morgan Cron’s memoir of sorts chronicles his life as best he can remember, and sometimes even better than his best memories, as he freely admits to some elaboration in the introduction. It all begins as he muses over a picture of him in a boat when he was two on a family vacation, and the story ends in the present with him on a family vacation with his own children. Cron’s writing reminds me a lot of John Updike in style and content, or I should say John Updike in reverse. While Updike usually ends with some existential dig at God and Christianity, Cron ends with rebirth and triumph through Christ. Perhaps the similarity lies in that the two are both Episcopalian: one a parishioner, the other a priest, though it should be no surprise that Episcopalians produce such outstanding writers—they do stem from the denominational lineage of Shakespeare and Milton after all. I sat down to read this book. When I finished the first chapter, I was astonished. The writing was good. Not just passable like other Christian novels I’ve read but literary good. Cron’s writing is unparalleled in modern Christian publishing. It was so good, that I read the whole book out loud, chapter by chapter, with my wife at bedtime. The best part is that not only is the writing good, but his story is absolutely engulfing. Cron made us laugh at the absurdities of his dysfunctional family, cry in his pain, rejoice in his new birth in Christ, and pray over the struggles he still faces in his new life. 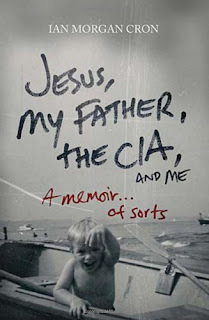 I don’t know how much more glowing a review could be, but if you’re looking for a good read that is a raw look at grace in process, Jesus, My Father, The CIA, and Me is the book for you. I received a free copy of this book from the publisher for review. All opinions are my own. What Are You Taking Home? We went to a Labor Day parade in Naperville, IL today. It was our toddler’s first real parade experience if you discount the psychedelic, seizure-inducing Alice-in-Wonderland parade at Disneyworld. There was the usual fare of marching bands, police cars, firefighters, politicians waiving signs, acrobat groups, martial art schools, and fuzzy characters for the kids. Most of all there was a lot of free swag being handed out. We went home with gobs of candy, coupons, beach balls, and even a full-size yardstick (a parade-handouts first for me too). And as we walked away carrying about three times more than we came in with, I wondered what we were going to do with all this stuff since we’re traveling across the country. It’s not like we have a lot of room in the car to carry it all. At some point, I’ll have to clean out the car and toss every thing we don't really want to take home in the garbage. And then I was reminded of the sermon from yesterday about Matthew 6:19-34. Jesus’ teachings in this section can be summed in three points: don’t worry about your daily needs, God takes care of you; don’t store up treasures on Earth, store up treasures in heaven; and seek first the kingdom of God in all things. I think we tend to forget that we’re all on a journey in this life, and we’re essentially living out of our cars. When the journey is over, our Father is going to clean out our cars, and only the things that are eternally essential are going home with us. Your big screen T.V. is going in the trash, the 100 pairs of barely worn shoes in your closet-trash, the lovely dinette set in your dining room-trash, your new car, trash, your house-trash, your 401K-trash. Have you ever wondered why Jesus compared a rich man entering the kingdom of heaven to a camel going through the eye of a needle? (Matthew 19:24) Just try to picture someone carrying all their junk on their back trying to fit through the gate of heaven. It’s an impossible feat. That’s why Jesus says to give up everything for His sake. You can’t take it home with you. I’ve recently started writing a weekly article for the Proverbs and Wisdom website. My articles will be released every Friday. I’ll also be working with them in some scale on their print magazine. I encourage you to read through their previous articles and to stay tuned for their future ones. This month’s topic for the website will be on Healing and Rebirth. You can read my article entitled: “Are You Self-Confident” here.